Kenyan marathon runner Rita Jeptoo who is serving a two year ban for a doping offence with “aggravated circumstances”, has had her sentence doubled by the Court of Arbitration for Sports (CAS). The 35-year-old athlete’s ban from competitions will now be for four years instead of the initial two years handed down by Athletics Kenya after she failed a drugs test. Jeptoo tested positive for recombinant EPO (rEPO), an artificially produced hormone which stimulates red blood cell growth, in a sample submitted prior to winning the 2014 Chicago marathon. The athletics governing body, IAAF appealed to CAS against the 2-year ban handed Jeptoo, seeking a longer sanction. The Court which upheld the appeal said on Wednesday: “The panel found to its comfortable satisfaction that the athlete used rEPO over a period of time to enhance performance. The undisputed source of the rEPO found in her sample of 25 September 2014 was an injection given to her by a doctor. The athlete provided various differing accounts of the circumstances leading up to the injection and also regarding her relationship with that doctor,” reports The Guardian. 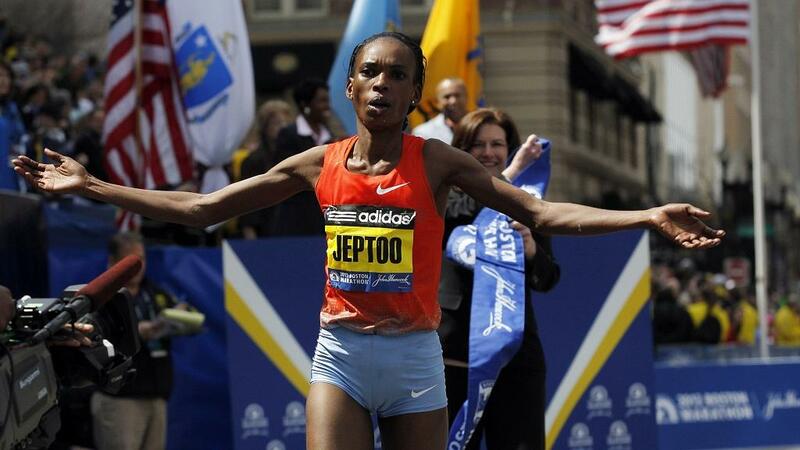 Jeptoo who won both the 2014 Boston and Chicago marathons has subsequently been disqualified from those events. “The CAS panel in charge of the matter has imposed a four-year period of ineligibility on Ms Jeptoo and disqualified the athlete’s results in the 2014 Boston marathon and all other results as from 17 April 2014, including the 2014 Chicago marathon,” the court’s statement said. Jeptoo’s ban was due to end this Sunday, October 30, 2016. The four-year sanction runs from October 30 2014 to October 30 2018 and Jeptoo is reportedly not appealing the CAS verdict.